The newly released Working Paper How resilient are farming households, communities, men and women to a changing climate in Africa? (PDF) combines robust data analysis with in-depth interviews in East and West Africa, to show how men and women farmers are facing contrasting realities that either support, or hamper, their ability to adapt to climate change. "At the moment, there are few studies that combine quantitative household-level analyses with qualitative work, delving into the ‘why’ as well as the ‘what’, said lead-author and researcher Carlos Pérez. Even fewer studies have examined gender issues in relation to agricultural practices. Since our study does both, I really think that we’ve been able to contribute with a much needed piece to the gender-debate." "Access to agriculture information, cash and resources, groups and productive land all represent conditions that define adaptation limits, and can either support, or hinder, individuals and communities to build climate resilience," said Pérez. "This makes it crucial to take a closer look at how men and women farmers are accessing crucial social and political institutions and resources, in order to better predict and support their capacity to adapt to climate change," he continued. The data that Perez and his co-authors analysed came from a number of baseline studies collected by the CGIAR Research Program on Climate Change, Agriculture and Food Security (CCAFS) and partners between 2011-2012 in East Africa, West Africa, and South Asia. At the moment, similar studies are being carried out in Latin America and Southeast Asia. The authors of the Working Paper looked at nine different sites, in which a number of women-headed households were identified, to really untangle gender-differences. The study concludes that there are indeed a number of differences between men and women farmers, and especially between the male and female-headed households regarding access to resources, agricultural information and land as well as involvement in organisations at different levels of society. They authors noticed more pronounced differences between women- and male-headed households in West Africa than in East Africa; which is important to note. The study reveals that the participating women controlled less land than their male counterparts, the land they did own was often of poorer quality, and their tenure more insecure. This is a consequence of men being the ones, in many parts of Africa, to inherit and own land. As a result, women are left to cultivate land given to them by their husbands or by the community, so called communal land. In Ghana, the participating women mentioned that the men’s crop fields were usually located right next to the main, permanent river, while the women’s crop fields were near a seasonal river, more dependent on rainfall and other factors. In Burkina Faso, the women, more so than men, lacked land and had no access to improved technology or equipment, no access to manure or labor, no means to buy chemical fertilizer, and few training opportunities. This was also the general trend for the participating West African households, where female-headed households tended to be smaller, and had women doing most of the work. Significantly, these homesteads were also more food insecure, as they tended to experience five or more "hunger months" more frequently than the male-headed households. The capacity to adapt to climate change, and sustain livelihoods, relates to the extent to which people interact with, and benefit from, social support institutions, government and NGOs, the study argues. 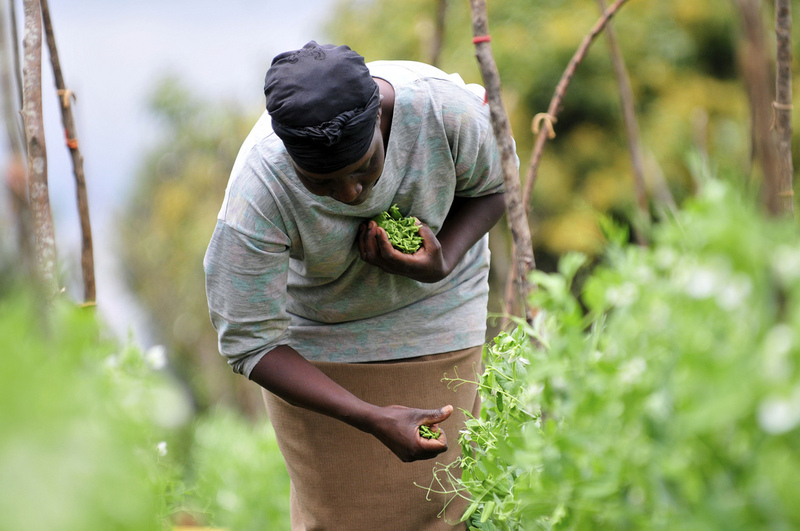 A significant difference between male and female farmers is that women tend to work and join organisations that are based within the local community, while men are better connected with groups that work beyond the locality. In addition, the study reveals that men are usually in a more favourable position to deal with, and benefit from governmental agencies, international NGOs and even private enterprises. Via these institutions men often get technical assistance, subsidized tools, seeds, fertilizers and improved livestock breeds, water pumps, cash incentives for communal work and much more. More importantly, men get to play a role as mediators with those organizations, and often speak to them on behalf of women. The local village groups are not isolated from the rest of the world though. Many organisations do channel funding through local initiatives or target women in their approaches. However, the major difference lies in women’s access to government and NGO agencies that focus on agriculture, livestock, forestry and the management of soil, water and other natural resources, the authors argue. These groups primarily, if not exclusively, target men and their needs. The real challenge is how do we overcome these anti-women biases by public and private agencies that foster agriculture and livestock production? Learn more via the related blog published on CGIAR Research Program on Climate Change, Agriculture and Food Security (CCAFS). Download the Paper: Perez C, Jones E, Kristjanson P, Cramer L, Thornton P, Förch W, Barahona C. 2014. How resilient are farming households, communities, men and women to a changing climate in Africa? CCAFS Working Paper no. 80.